Do you ever wonder about the quality of the air inside your home? Surprisingly, the air inside your home likely contains more pollutants than the air outside. Perhaps you’ve never considered it before. Maybe you have but you don’t know how to go about testing the quality of your air. It’s certainly something worth looking into, for your own health and the health of your family and pets. Your central air system is key to indoor air quality, so one of the best places to start is with your Greensboro HVAC service. Furnace or Heating System(s). If you have a furnace that runs on natural gas, propane, or oil, it creates carbon monoxide as a byproduct of burning fuel. A properly operating system will produce minimal amounts of carbon monoxide and vent it outside of your home. An inspection will reveal any problems that could cause carbon monoxide to be present in your home. A tune up will fix any of these problems. Air Conditioner(s). Air conditioners are typically electric, which means they don’t produce carbon monoxide, but they can be the cause of other air pollutants such as mold and mildew. Mold and mildew can grow inside of air conditioning systems that are not properly controlling humidity, and those major allergens can cause all sorts of health problems. An inspection will reveal any mold or mildew growth and a thorough cleaning will remove it. Ventilation. The ventilation for your HVAC system plays a big part in the removal of carbon monoxide and the prevention of mold and mildew growth. The ductwork and other parts of the ventilation system need to be inspected and repaired if necessary to prevent indoor air pollution. Indoor Air Quality Tests: Which is Right for You? Volatile Organic Compounds (VOCs). These are chemicals found in household cleaners and other items you may keep in the home. One example is formaldehyde, a known carcinogen. Lead. Typically found in older homes (before 1978) from paint, or in homes near highways where leaded gasoline pollution is possible. Radon. A radioactive gas that occurs naturally within the earth can seep into your home from the ground through cracks in your foundation. Most homes have radon testing before being built or sold, but if you’ve been in your home for many years it would be wise to test again. Allergens. Dust mites, pet dander, mold, and mildew are the most common allergens that may exist in your home air. Bacteria. Some harmful bacteria can build up in your air and become highly concentrated so as to cause health problems. Carbon Monoxide. As mentioned above, carbon monoxide typically comes from your furnace or any other gas appliance you may have. When purchasing or ordering tests, only choose the ones for the air pollutants you think could be the problem in your home. For example, if you don’t have any gas, propane, or oil appliances, you probably don’t have a carbon monoxide issue. If your home was built in the 1980s or later, you probably don’t have an issue with lead. Call Berico, your Greensboro HVAC expert, to make sure your home’s air system isn’t the cause of poor quality air in your home: (336) 273-8663. When you notice water leaking anywhere in your home, it can be alarming. When the water is coming from your air conditioner it can be both alarming and puzzling. 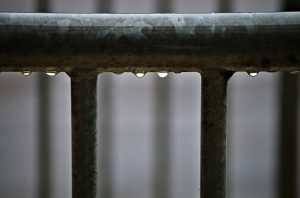 There are actually some very common reasons your AC may be leaking water, and in most cases, it can be easily repaired. But before you call for AC repair in Burlington, you may want to have a general idea of what’s going on with your air conditioner. Clog in the condensation drain. As warm air is converted to cool air, condensation takes place, meaning moisture is created. Excess moisture should drain out through the condensation drain, unless there is a blockage of some kind. Lack of air flow. If filters are clogged or vents are closed or blocked it can decrease the amount of air moving through your air conditioner. Without proper air flow, excess moisture can be created and leak out. Broken condenser pump. When excess moisture builds up in your AC unit, there is a pump that gathers the water and sends it out through the condensate drain. If the pump is malfunctioning, the water could be leaking inside. Poor sealing and insulation. If your air conditioner isn’t sealed well or doesn’t have the proper insulation, hot air can get to the condenser coil, which creates excess moisture that may leak out. Uneven installation of the outdoor unit. If your outdoor AC unit is not on a level surface it can cause excess moisture to be created or to fail to drain properly. Damaged drain pan. The drain pan holds excess moisture, so any leaks in it will cause the water to leak out. It is common for the drain pan to get old and rusted after holding water on a constant basis. Low refrigerant. When the refrigerant level in your system gets low it can cause it to freeze. Then when it warms again it melts, causing water leakage. What Should You Do if your AC is Leaking? If you see water around your air conditioner and you’re sure that’s where it’s coming from, not a separate plumbing issue, take the following steps. Turn off your AC. The only way to keep the problem from getting worse is to turn off your air conditioning system. Soak up the water. Use something to soak up the water, such as old towels or paper towels, to prevent any water damage to the interior of your home. Check all of your filters and vents. Make sure your filters are not too dirty or clogged. Make sure all vents are open and unblocked. If everything looks to be in order, move on to step 4. Call for AC repair in Burlington. At this point, you will need the help of an HVAC professional who can diagnose and repair the problem. 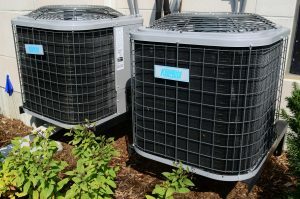 Alamance Oil is a reliable source for AC repair in Burlington and the surrounding area. A certified, trained technician will have your air conditioning repaired and operating properly as soon as possible. If you’re experiencing leaking water from your air conditioner, call Alamance Oil today: (336) 226-9371.
https://www.berico.com/wp-content/uploads/2018/12/header-logo-new-3a.png 0 0 Team Berico https://www.berico.com/wp-content/uploads/2018/12/header-logo-new-3a.png Team Berico2019-04-01 19:28:412019-04-03 19:30:52Why is My AC Leaking Water? Keeping pests at bay can be a constant battle for homeowners. Like most of us, we appreciate nature but prefer it to stay outside in nature and not in our homes. You may think you have sealed up every spot where pests could enter your home, but there’s one area you may have overlooked: your HVAC system. Unfortunately, your heating and air conditioning system has to allow air to come in and go out, and that opens up your home to the potential for pests to enter. Prevention is the best measure, because once pests get in, it’s a lot more difficult to remove them. Here are some ways to keep your HVAC system pest-proof from your Reidsville air conditioner specialists, Carolina Fuels. Seal ductwork. Make sure there are no holes or openings in your ducts where pests could get in. Insects can get in through even the smallest of holes. Seal up any openings you can see. This also keeps outside air from seeping in and reducing your HVAC efficiency. Install screens over vents and flues. There are places where air has to be vented out. Cover your vents and flues with screens to keep bugs and other pests out while ventilation can still occur as it should. Keep the area around your outdoor AC unit clear. The outside unit is a common favorite place for pests, but keeping it clear of weeds, leaves, and other debris can deter pests from the area. You could even use a non-toxic pest repellent around it. Have your system inspected by Reidsville air conditioner specialists. Yearly maintenance can go a long way toward preventing pests from getting in through your HVAC system. A thorough inspection would reveal any existing pests and any potential areas where pests could enter. Maintenance typically includes cleaning and repairing any potential problems. And you get the added bonus of better efficiency from your air conditioner. Have your ducts cleaned. Keeping the inside of your ducts clean offers many benefits, such as removing pests and any evidence of their nesting. It also makes your ductwork less desirable to pests looking for a place to nest. Why is Pest Prevention so Important to my HVAC system? Obviously, no one wants pests to enter their home. But the damage they can possibly inflict on your HVAC system is pretty severe. Nesting in ducts can cause damage, leaks, and animal waste and bacteria to enter your ventilation. An odor coming from your vents may be your first indication of an infestation. Snakes and rodents are the most common duct nesters. Bees and other types of stinging insects also like to nest in and around the outdoor unit of your air conditioner. Insect nests can block various parts of your AC unit, potentially causing damage. Reidsville air conditioner specialists, Carolina Fuels, can help repair any damage caused by pests and help prevent pests from entering your system again, or in the first place. Whether or not you suspect you may have pest issues, Carolina Fuels can help. Call (336) 623-9741. Almost everything is “smart” these days with smart phones at the center of personal technological devices. Even your home’s heating and cooling system can be controlled from your phone when you use a smart thermostat. There are many benefits to upgrading to a smart thermostat, so consider these when deciding whether or not a smart thermostat is right for your home. Your HVAC service in Burlington, Alamance Oil, can install a smart thermostat in your home if you decide to make the switch. Homeowners can enjoy many benefits from the use of a smart thermostat to control indoor comfort. Save energy. When your home is unoccupied, it is not necessary for your HVAC system to maintain the same temperature as it would when occupied. Save energy by programming your smart thermostat to raise or lower the temperature when no one is home. Save money. When you save energy, you save money, which helps your household budget by lowering your monthly bill. Convenience. With a smart thermostat, you can enjoy the convenience of being able to control your HVAC system from a distance, 24/7. Override your programmed settings when it turns out you will be home due to weather or a holiday, all from your phone. Forgot to change your thermostat before leaving on vacation? No problem, as long as you have your phone with you. Comfort. The smart thermostat allows you to change the temperature right before you arrive home so that you can maximize your comfort even with an irregular schedule. It also allows you to turn up the heat before you get out of bed in the morning. With all of these benefits, the initial cost of a new smart thermostat will be worth it and will eventually pay for itself in energy savings. There are many reasons it’s wise to have your new smart thermostat installed by an experienced, reliable HVAC service in Burlington. Not every smart thermostat is compatible with every HVAC system. Certain HVAC systems will work with certain thermostats. Let your HVAC company recommend a compatible thermostat for your home or office. Proper installation is crucial to proper operation and energy savings. For your smart thermostat to give you optimal energy savings, installation is key. Each technician at Alamance Oil is trained to know how to do the job right so that you can get the most from your new thermostat. 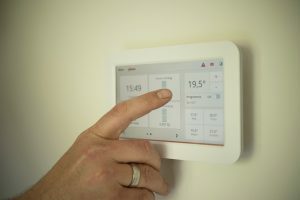 Your HVAC technician can teach you how to program and use the new thermostat. After it’s installed, your technician can walk you through your new thermostat and teach you to program it both in your home and from your phone. When you’re ready to upgrade your thermostat, use the HVAC service in Burlington you can trust. Alamance Oil has decades of experience with heating and cooling systems. Always on the cutting edge of technology in HVAC equipment, Alamance Oil can easily install a smart thermostat in your home. 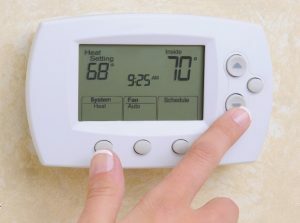 Alamance Oil can also keep your thermostat and HVAC system operating efficiently with regular maintenance visits. Call (336) 226-9371.
https://www.berico.com/wp-content/uploads/2018/12/header-logo-new-3a.png 0 0 Team Berico https://www.berico.com/wp-content/uploads/2018/12/header-logo-new-3a.png Team Berico2019-03-20 14:20:502019-04-02 15:16:43Is a Smart Thermostat Right for My Home? Propane is an excellent alternative home heating fuel for furnaces. Clean burning and non-toxic, propane is just as safe as other heating fuels in Greensboro, if not more so. But getting the highest level of efficiency and safety from your propane furnace requires a little bit of action on the homeowner’s part. Follow these tips to get peak performance from your furnace and eliminate safety risks. Schedule Routine Maintenance. This is always the number one safety and efficiency tip for propane furnaces. Keeping up with maintenance, which means a professional inspection and tune-up once a year, will ensure that your furnace is operating properly. A furnace in disrepair can cause a variety of safety issues from fire risk to carbon monoxide poisoning. A well-maintained furnace will also heat your home more efficiently, using less propane and making your home feel warmer. Always schedule a maintenance appointment towards the end of summer or in the early fall before the weather gets cold enough to require the use of your furnace. Keep your Propane Filled Regularly. Running out of propane and even letting the amount of propane in your tank to fall too low can cause a variety of problems and safety issues. 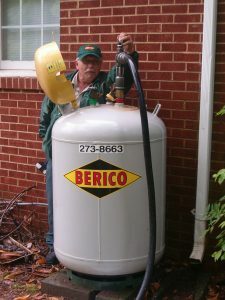 A propane tank that is nearly empty has a lot of space for air, condensation, and unwanted moisture to build up inside, which is potentially harmful to the tank itself. A tank in disrepair can leak or lead to other problems. If your tank gets completely empty, there are extra measures that must be taken when it comes to the refill process. An empty tank can become leaky upon refill due to internal pressure issues. Your propane supplier can repair any leaks and provide an automatic delivery schedule for future refills to prevent your tank from running out again. Your Propane Tank Should have an Overfill Prevention Device. A propane tank should never be filled completely. There should always be room for the liquid to expand as it warms. Otherwise, the pressure in the tank is too great, which can cause leaks or even an explosion in extreme cases. The overfill prevention device, or OPD for short, ensures that this won’t happen. Change your Filters Regularly. Experts recommend monthly, or at least quarterly filter replacement. At the very least you should have your HVAC service replace them twice a year during maintenance appointments. Dirty or clogged filters are one of the biggest causes of inefficiency in your furnace. Get a Programmable Thermostat. One of the best things you can do to improve HVAC efficiency is to use a programmable thermostat. You can set the thermostat to call for different temperatures at different times of the day or night, so that when you’re not home, your house won’t have to be as warm, saving a significant amount of propane. To keep your furnace operating efficiently and your propane tank full and in good condition, you need regular service and deliveries from a reliable propane supplier. Berico is a complete home comfort service providing all of the necessary maintenance and products to keep your home comfortable year round. Call (336) 273-8663 to request furnace maintenance or heating fuels in Greensboro. Do you experience uneven temperatures around your home? Are some rooms always warm and others always cold? This problem is actually quite common and there are solutions, most of which can be handled by your HVAC service in Greensboro. Problem: Upstairs is warmer than downstairs. Naturally, hot air rises. If your only thermostat is downstairs, your entire home will continue to heat as long as the downstairs remains cool. Solution: Zone heating system. When you have a multi-level home, a zoned HVAC system allows each level to have its own thermostat and duct system so that only the level that needs heat will get it. In most cases (with the exception of very large houses) more than one zone can run off of one HVAC unit. Problem: It feels colder near exterior doors or in rooms with large or lots of windows. Solution: Add extra or better insulation/weather stripping around doors and windows. If your home has old windows, consider upgrading to newer insulated windows. Problem: Furnace cycles on and off but the ideal interior temperature is never achieved. This is typically due to an incorrectly sized unit. Solution: Have an expert HVAC service in Greensboro recommend and install the correct size unit for the square footage of your home. Problem: One room seems to stay unusually cool. This could be caused by leaky or incorrectly installed/sized ductwork. Solution: Have the ductwork inspected and repaired or replaced by a professional. Problem: Low air flow from vents, likely due to clogged filters. Solution: Replace dirty filters with new to improve airflow. Problem: Low air flow due to closed or blocked vents. Solution: Make sure all vents are open and there is no furniture or curtains blocking them. 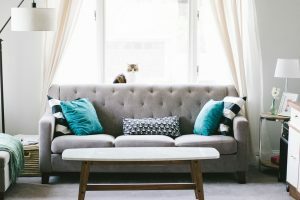 Problem: Rooms that have been added on, such as sunrooms or basements that have been finished are not currently part of the central air system in your home. Solution: Ductless mini-split HVAC units provide heat and air conditioning to just one room at a time. They are easy to control and can be used only when needed. If your home seems to be heating or cooling unevenly, and you’ve checked your filters, vents, and insulation, the next step is to contact your HVAC service in Greensboro for a thorough inspection of your existing air system. It’s possible that a simple cleaning and tune-up of your furnace and air conditioner is all that’s needed to even out the comfort level in your home. Twice yearly maintenance is recommended by HVAC experts, one appointment in the fall for your home heating system and one in the spring for your home cooling system, whatever type you have. Whether it’s a central air system, a heat pump, a geothermal unit, or other, routine maintenance keeps it running smoothly and efficiently. In some cases, it may be necessary to replace or upgrade your current system. Berico can handle all of your HVAC needs and restore your home to an even comfort level throughout. Call (336) 273-8663 to schedule an appointment. Propane tanks come in a variety of sizes. A home or business should have a tank that is the appropriate size for the structure’s typical usage. Your propane supplier in Burlington can recommend the right size tank for you by simply asking some questions about your home or business and appliances. Here’s a general overview of the sizes of tanks and the usage they support. Designed to support a few appliances, this small tank may be all you need if your propane usage is minimal. If you need propane for your stove, clothes dryer, fireplace, water heater, or any combination of two or three of these, a small tank is probably big enough for your home. These tanks are sometimes upright and other times horizontal, depending on your storage space. If you’re planning to heat a small home or run more than three household appliances on propane, you’ll probably need a medium tank that holds up to 500 gallons. Depending on the square footage of your home, this medium-sized tank won’t have to be refilled more often than normal. Your propane supplier in Burlington can give you a good idea of whether or not this tank size will be sufficient. When you need to heat a larger home and have multiple appliances running on propane, a 1,000-gallon tank will most likely work better for you. Refills should be frequent enough but not so often to become a nuisance. You’ll have the freedom to run your furnace, fireplace, range, dryer, water heater, and more all from one tank. A small business may be able to operate on this size tank. Need a commercial grade propane tank? Businesses and larger buildings may likely require an extra-large tank that holds between 1,450-1,990 gallons of propane. If you need to run several large appliances on propane, you’ll likely need an extra-large tank. This is one of the largest tanks available. If you require more propane than what an extra-large tank will hold, you may need multiple tanks. Climate. The weather in the area where you live or where your business exists makes a difference in the amount of propane you will require for heating. Storage space. If you have limited storage space, it may limit the size of propane tank that will fit on your property. Price and budget. If you’re just starting out on propane and your budget only allows for a small tank, you can upgrade later when prices and budgets change. 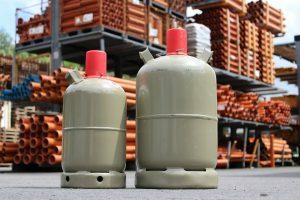 Your propane supplier in Burlington, Alamance Oil, can help you determine what size propane tank you need. Sign up for automatic deliveries so you’ll never run out. Call (336) 226-9371.
https://www.berico.com/wp-content/uploads/2018/12/header-logo-new-3a.png 0 0 Team Berico https://www.berico.com/wp-content/uploads/2018/12/header-logo-new-3a.png Team Berico2019-03-07 15:20:062019-04-02 16:20:39Is My Propane Tank the Right Size? How much do you know about propane? You may know that it’s a clean-burning, non-toxic fuel that is often used to heat homes and fuel backyard grills. But propane can do so much more, probably more than you’re even aware of. It’s a versatile alternative to natural gas, electricity, heating oil, and other common fuels. Consider all that Burlington propane can do. 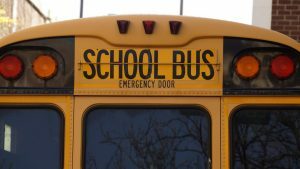 Power School Buses – Many school buses run on diesel fuel, but propane is an increasingly popular option since it is cleaner than diesel. Propane engines are quieter, which increases safety by making it easier for drivers to hear what’s going on around them. It is also cheaper due to price and efficiency. Propane performs better in freezing temperatures than diesel, making it easy to start school buses in any weather. Power Mowers – Burlington propane is a greener alternative to gasoline, which is especially important to landscapers and homeowners who want to preserve the beauty of nature. Propane’s efficiency means fewer trips to the gas station. Plus, you can ditch those messy gas cans. Heat Water – Using propane as a water heating fuel just makes sense, especially in the case of tankless or on-demand water heaters. It can also be used to heat pools and hot tubs. Dry Clothes – Propane clothes dryers run more efficiently than electric and eliminate static cling almost entirely. Clothes dry faster and won’t stick together. Power Forklifts and Material Handling Equipment – Want a competitive edge? Propane can more cheaply power forklifts and other machinery used indoors — without releasing harmful fumes into warehouses and factories. Fuel Farm Machinery – Just like other equipment that usually runs on diesel, farm vehicles and agricultural machinery are becoming more commonly powered by propane. The same benefits apply here, such as efficiency, cleanliness, and affordability. Combined with Diesel and Used in a Dual-Fuel System – The newest technology in propane engines is a dual-fuel system that runs on a mixture of diesel and propane, allowing farmers to use their existing equipment and still be in compliance with Tier 4 standards in emissions. These are just some of the latest uses for this versatile fuel that you may not have been aware of before. Homeowners and business owners alike can benefit from these new uses of propane in Burlington, NC, and throughout the country. While you may be surprised by the versatility of propane, its uses are only expanding. As it grows in popularity and demand, more appliances, vehicles, machinery, and other items will be designed to run on propane. Because of its cleaner emissions, soon there may even be tax incentives available for powering more equipment with propane. Alamance Oil provides propane and other types of fuels to the Burlington area, as well as maintenance and repair for equipment, such as residential and commercial furnaces and other appliances. Call Alamance Oil and start a propane delivery plan today. Want to save money and time? Alamance Oil also offers automatic delivery plans that make propane more convenient and affordable. Call (336) 226-9371 to discuss Burlington propane options and delivery service with the experts at Alamance Oil. Kitchen ranges come in electric, natural gas, or propane configurations. People from amateurs to professional chefs have their preference when it comes to cooking fuels and appliances. 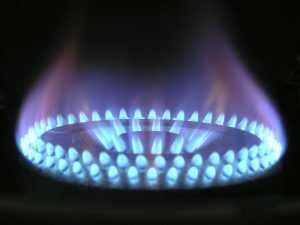 There’s not a lot of difference between cooking with natural gas vs. propane. If your home is already equipped with natural gas for home heating, it’s easy to add a kitchen range or other appliances to that same energy source. When you don’t have access to natural gas, perhaps if you live in a rural area of North Carolina such as Eden, propane is an excellent alternative for home heating and other appliances. Consider the many advantages of a propane cooking range. Even-Heat. When it comes to cooking, having an even distribution of heat is important. Propane allows you to cook food evenly over a flame on the stovetop as well as in the oven. Save Money. A propane range may cost more up front, but the propane is a more cost-effective energy source. You’ll save more over time by cooking with propane. Power Out? No Problem. Your propane range will still operate if the power goes out, making it possible to cook meals even when you don’t have electricity. In rural areas when the power goes out, it can take days to be restored. In the meantime, enjoy hot meals by candlelight. Environmentally Friendly. Propane is a green gas, meaning it is non-toxic and does not release harmful emissions. Electricity is still primarily created by burning coal, which is much more harmful to the environment. Instantaneous Heat. While electric ranges take longer to heat up, a propane range is ready in seconds. You’ll have heat right away so you can make meals quickly and efficiently. Better Heat Control. Cooks like that the temperature on propane ranges can be adjusted more quickly. You have better overall temperature control than you do with electricity. Safety. When you turn off your propane cooktop the heat goes away immediately, unlike electric ranges that stay hot for much longer, creating a potential burn hazard. Keep your Kitchen Cooler in Summer. The second you turn off a propane range it cools quickly, which can be a life saver in the summer. Your kitchen cools off faster and your air conditioner won’t have to work as hard. Do you like the sound of all these advantages to cooking with propane? If you’re not already using propane in your home, there’s no time like the present to start. Carolina Fuels can deliver Eden propane to any home or business. Tanks come in a variety of sizes depending on the predicted usage per household or commercial building. Experts will recommend a refill schedule that will ensure your propane never runs out. You can enjoy all the benefits of cooking with propane even if you only have experience cooking with an electric range. Propane can also power other appliances such as clothing dryers, water heaters, and of course, furnaces. Call Carolina Fuels today to get more information about Eden propane: (336) 623-9741. 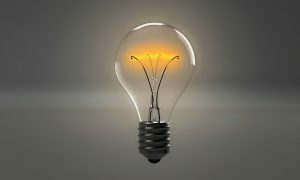 When it comes to saving energy, the debate is always about which energy-saving improvements are actually worth the money. Can you actually save money with energy efficiency upgrades? The key is choosing items that are the lowest cost up front that can save you the most in the long run. A lot of the best investments are related to home comfort, such as heating and air conditioning. Your HVAC service in Burlington can make the best recommendations, such as these top 8, arranged from lowest to highest cost. Dishwasher Cleaner. A clean dishwasher operates much more efficiently than a dirty one. Dishwasher cleaner packets are just a few dollars. Put one in the detergent compartment and run a normal cycle while the dishwasher is empty. Weather Stripping. Like insulation, weather stripping around doors and windows prevents cold air from getting in during the heating season and hot air from getting in during the cooling season, allowing your HVAC system to operate more effectively. Weather stripping starts at around $5. Light Bulbs. Replacing your lightbulbs with fluorescent bulbs can save you energy and money. The bulbs last anywhere from 4-10 times longer and a 4 pack averages less than $10. Insulation. Purchase a roll at any home improvement store for around $15 and save hundreds each year in heating and cooling costs. Low Flow Shower Heads and Faucets. You can conserve a lot of water using low flow shower heads and faucets. Your water bill can be reduced as well as the cost of water heating. A low flow showerhead can be purchased for as little as $20. Programmable Thermostat. Starting around $50, a programmable thermostat allows you to preset different temperatures for specific times of the day. Your HVAC system won’t have to work as hard or run as often when no one is home. Ceiling Fans. By installing ceiling fans in many of the rooms in your home, you can set your thermostat to a higher temperature when the weather is hot and still feel comfortable, or avoid using your air conditioning altogether. You may find ceiling fans as low as $60. Tankless Water Heater. Also known as an on-demand water heater, this has the highest initial cost of all these items. The jury is still out on whether or not tankless water heaters are worth the money, but you can definitely save energy by not heating a tank full of water that may or may not be used. You also gain the advantage of always having hot water when you need it. It’s not an upgrade, but routine maintenance for your HVAC system can save a lot of energy. A properly operating furnace and air conditioner will run more efficiently and use less fuel and electricity. You’ll also save money by avoiding expensive repairs and emergency or after-hours fees. Call Alamance Oil HVAC service in Burlington to schedule a routine maintenance appointment: (336) 226-9371.